This is a kind of "WikiNode," showing where Appropedia fits in with other collaborative projects, and hopefully will help create greater synergy. See Green wikis and development wikis for a more rigorous and comprehensive look at this part of the wikisphere. NOTE: Any wikis which are small and inactive, or heavily spammed and abandoned, should be removed from this page. Several have merged already: the Appropedia:A history of collaboration. We are discussing close collaboration or merging with Ekopedia. (More news in late 2009, probably --Chriswaterguy 07:14, 23 November 2009 (UTC)). Howtopedia is focused on how-tos, and is continuing independently. We seek to collaborate with other wikis, and have discussed this with several including Greenlivingpedia. WikiIndex lists and categorizes many wikis. Society Gardens: A summary of active, established Wikia sites on serious topics (ie not entertainment or gaming). Many more can be found with a search engine such as Google. Many of these wikis are not very active, but it may be valuable to contact the community and explore possibilities for collaboration, perhaps joining with a more active community of editors such as Appropedia. Gardenology - large and active wiki. "Transition Towns" started in the UK but this initiative is rapidly spreading worldwide. It represents local communities responding to the twin drivers of Peak Oil and Climate Change, and it draws deeply on Permaculture. It is a grassroots response designed to work together with national and global responses, and to be replicable, community by community. Transition Towns is a wiki where each "official" Transition initiative has its own wiki or link to its own website. Each local Transition initiative has a forum that is usually pretty active. Transition Network is the overarching Transition network with a Transition primer and list/map of over 400 groups worldwide "mulling" over taking up the Transition initiative. See also Green World Trust which, though not a wiki, is perhaps the best introduction to Transition Towns. See also the International development category at WikiIndex. Appropedia is a living library of Appropriate technology, Sustainability and development. Howtopedia - "simple technologies, simply shared." All in the form of how-tos. Largely taken, with permission, from Practical Action. Kivapedia is a wiki supporting Kiva, online microlending to small businesses in developing countries. Kivapedia is hosted by and maintained on a volunteer basis, mainly by users of the Kiva Friends community forum. The most active and comprehensive wiki on general sustainability issues is Appropedia, as above. For a guide to this area of the wikisphere, see Green wiki and Green wikis and development wikis. See also the Sustainability category at WikiIndex. Appropedia covers permaculture, and aims to cover it comprehensively. Other wikis cover it also, but are mostly dormant, very small or spammed. Climate and Conservation Wiki, from Climateandconservation.org - a scientific wiki, devoted to compiling and disseminating information, summaries, and reviews about conservation of biodiversity and how biodiversity is affected by Global Climate change and Global Warming. This is not a site for you to express your opinions about the existence or non-existence of Global Warming. - offline (server error). Heande, an abbreviation for Health, the Environment, and - Everything is a wiki-based website for helping decisions about human health, and environmental factors affecting it. Future is a Wikia about futurology, technology foresight, and futures studies. This wiki aims to develop future forecasts (using scenarios, timelines, etc. ), and to write speculative articles on future topics. The wiki's logo is a combination of a nanogear and the DNA molecule, which signifies the importance of nanotech and biotech. The "RTENOTITLE" brackets show that it's a wiki. Renewable Energy Design is a wikia for collaboration on the detailed engineering design of new or improved methods of capturing energy from renewable sources. promoting free cultural exchange by abandoning the innovation-inhibiting conceptions of pseudo-scarcity in the cultural world (i.e. based on the assumption that the free flow of culture needs to be restricted through excessive copyrights etc...). This is a website that explains the diverse movement that is promoting Freedom of Information, or whatever else it might be called (free culture, open source culture, etc. ), and its associated ideas. blue Overview - more comprehensive but still straightforward. red Details level - everybody is welcomed to contribute more in-depth information and write and talk. Sharewiki: The Sharewiki is exploring possibilities of living a life based on sharing, participation, collaboration, giving and taking without quid pro quo - taking those principles that are alive in the successful free software movement to another level. How To Engineer It "will be a comprehensive encyclopaedia of technology which answers questions about how to make modern products in the natural environment from scratch." wikiHow The How-To Manual That Anyone Can Write or Edit - unfortunately uses a Non-commercial license so it's incompatible with Appropedia, except where the specific authors give permission. Some great pages though. HowStuffisMade (spam problems, inactive - any value?) - an encyclopedia of and manufacturing processes and labor conditions involved in the production of contemporary products. This information is often hard to obtain and little of this material exists on the web. Issuepedia - "Issuepedia is the encyclopedia of issues, analysis, thought, and opinion. As with Wikipedia, anyone can edit; unlike Wikipedia, we encourage opinions and rants as well as carefully considered analysis and purely factual writing." A wiki for Campaigns recently set up by Jimbo Wales, aims to explore new ways of doing politics and campaigns. A wiki for World Citizenship, Global Justice and Global Governance aims to create a new space for publishing and discussing opinion articles on topics related to world citizenship, global justice & global governance. The wiki is construed as a combination of an open journal, a thematic non-neutral encyclopedia and an open discussion forum. Although it is expected to attract people from the world citizenship and global justice movement, the wiki welcomes all sorts of opinions, statements and comments provided with respect for each other position. The Activism wiki is a place for sharing information about all forms of activism. Censorship is a wiki which will provide official and unofficial accounts on censorship, particularly internet censorship in areas such as Iran, so that international observers and activists have a better picture about the situation of freedom of information. The wiki is a space to gather information and analysis on effective ways to bypass censorship. Wikileaks is not on this list because despite their name, the website is no longer wiki-based as of December 2010. 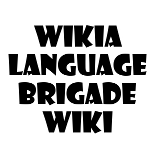 These wikis may be useful for building Appropedia as a project. The Translation Wikia is for collaborative translations of free texts and fair use extracts. The wiki also provides a meeting space with information about translation, and from translators. Information and discussion on the theory and techniques of translation will be included. This is a tentative list and probably needs cleaning up. HowStuffWorks - covers a wide range of topics. CREST has some good discussion pages - see also the links on left side of this page. Nabuur - "The global neighbour network." Connects local communities in need with online helpers. Page was last modified 06:50, 10 January 2014. Based on work by Chris Waterguy, Chriswaterguy's bot, Appropedia users Teratornis, 68.0.124.33 and DavidCary and others.